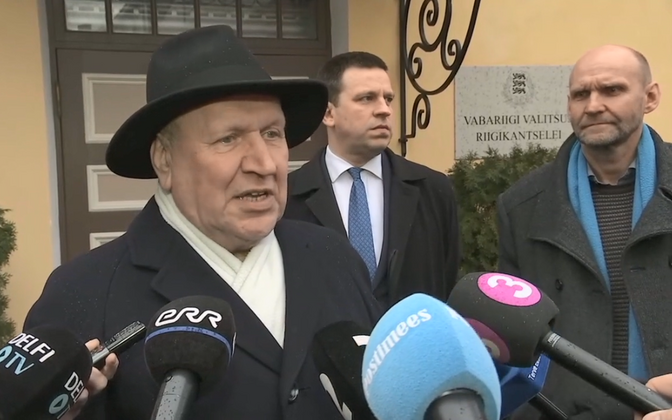 At Tuesday's coalition negotiations, the Centre Party and Isamaa did not support the Conservative People's Party of Estonia's (EKRE) proposal to lower the VAT in Estonia to 15%. The three parties have, however, agreed to lower the excise duty on alcohol in order to curb cross-border trade. 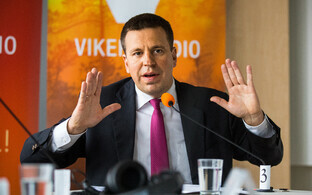 EKRE deputy chairman Martin Helme told Raadio Kuku that his party was clearly alone in its VAT proposal, and that even its suggestion to lower the VAT to 18% was not met with any enthusiasm. "Final decisions will be made when we have included our calculations," he added. EKRE's election promise to lower the VAT to 15% would curb inflation, according to a Ministry of Finance analysis, but its negative impact on the budgetary position would total €570 million. The party had also promised to cut the VAT for the accommodation and catering sectors to 9% and exempt medicine and technical aids for those with disabilities from VAT. VAT cuts would increase consumption and result in a positive impact on the budget, the ministry said. Mr Helme added that Isamaa's proposal to make the currently mandatory second pension pillar voluntary would also be discussed on Tuesday, and that a work group had been formed to examine the details and aassess the risks of the proposal. "If we make such a significant change, it will certainly have a lot of side effects on Estonia's economy and social policy," he said. "These risks need to be ascertained and then managed." All three parties have, however, agreed to lower the excise duty on alcohol in order to curb cross-border trade. 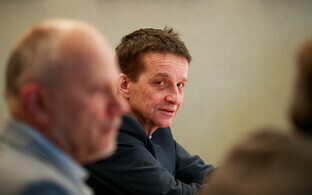 "All parties engaged in the current coalition talks have promised to change the excise duty policy," Mr Helme said. "Thus, there is no substantive dispute [with Isamaa and Centre] regarding the intention to lower the excise duty in order to curb or eliminate cross-border trade." He added that the three parties are also seeking to lower excise duties on electricity and natural gas, while EKRE also wants to go a step further and cut the duty on fuel as well. According to Mr Helme, all major changes involving budgetary impacts have been listed in a comprehensive table that will later be supplemented with figures before being reviewed again. 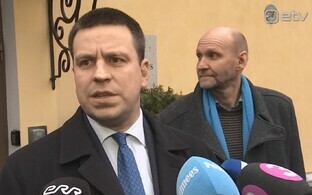 "The listing of the minority shares of Tallinna Sadam (Port of Tallinn) gave the people and pension funds of Estonia the opportunity to invest in a state company," Centre Party chairman and Prime Minister Jüri Ratas said in a press release. "We want to continue on this path." Specific state companies whose minority shares it would be wise to list are to be determined later. 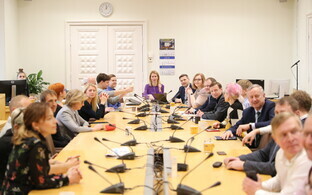 The potential coalition at its Monday talks discussed Estonia's business and tax environent, an inclusive economy and the labour market. The parties' goal is not to increase the tax burden, however tax issues are to be determined in greater detail at further talks. 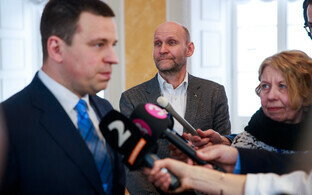 According to the Centre chairman, the three parties are working in the name of increasing the potential of Estonia's economic growth and the efficiency of its public sector. 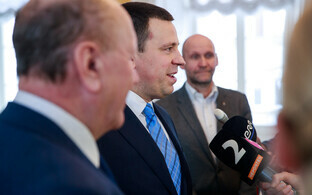 "We stand for an internationally recognised good and competitive business environment," Mr Ratas said. Isamaa chairman Helir-Valdor Seeder said that the potential coalition would work toward decreasing entrepreneurs' administrative burden and cutting red tape. "For this, we will implement the principle of one-time information requests of entrepreneurs when collecting data," he explained. 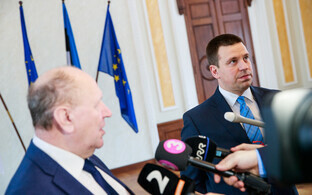 "The establishment of high value-added jobs across Estonia is also important for all of us." Mr Seeder also added that an agreement was reached on Monday regarding immigration policy, according to which it was decided that Estonia would remain conservative but stand strong for entrepreneurship, including the development of startups. 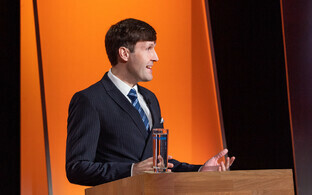 EKRE chairman Mart Helme said that immigration policy that is strict and beneficial to Estonia's economy and society will be followed, while control over illegal immigration will be intensified and immigration quota exceptions that are being abused will be reviewed. "The potential coalition considers necessary the more exact regulation and control of the use of rental workforce and prefers the return of Estonians over a foreign workforce, and supports the involvement of passive people in employment with national measures," Mr Helme said.